Say goodbye to your drafty fireplace! You can update your existing wood-burning fireplace with an efficient gas insert from Breakaway. Gas inserts, vented and vent-free, can contribute to your home’s overall comfort and even help reduce your central heating costs! When you turn on your gas insert, you can lower your boiler or furnace to enjoy even, uninterrupted warmth. This can help you save big on energy costs and add peace of mind for unexpected power outages. 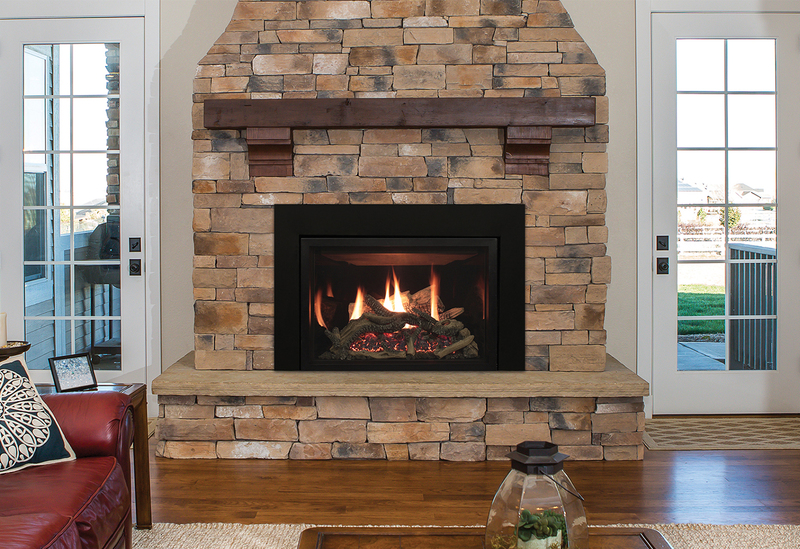 Breakaway is pleased to offer free no-obligation estimates for our hearth products. One of our trained staff members will come to your home to create a quote based on your property and product of choice. We carry many heating product brands, including Real Fyre by RH Peterson, Napoleon, White Mountain Hearth, Majestic, Monesson, and Berkshire Mountain. Contact us to schedule an estimate. Want to turn up the heat on your home hearth? Breakaway is proud to offer White Mountain Hearth vented gas inserts that will transform you basic, wood-burning fireplace into an attractive and efficient heating source. Vented gas inserts are considered zone heating appliances, which eliminate heat transfer waste and significantly improve efficiency compared to wood-burning fireplaces. Models can operate without electric power to provide heat during power outages and optional remote controls add even more convenience. Don’t have a fireplace and chimney in your home? No sweat! You can still enjoy the atmosphere of a crackling fire with a vent-free gas insert from Breakaway. We are pleased to carry the premium Vantage Hearth Vent-Free Fireplace from Hearthside Distributors. The Vantage Hearth Vent-Free Fireplace can be installed as a standalone fireplace or as an insert. Simple, classic style. We have many brands and styles to choose from with different sizing options. Stop by Breakaway in South Dennis or Mashpee to find a gas insert for your home or business. Call 508-398-3831 or contact us online to get started on your installation.